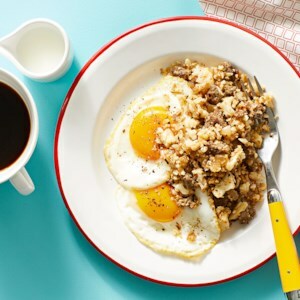 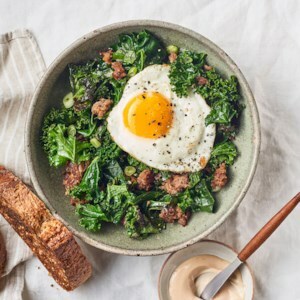 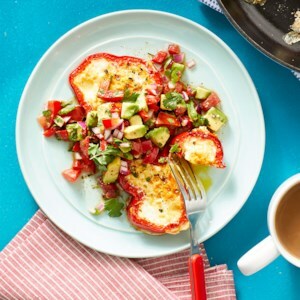 Find healthy, delicious, quick and easy egg recipes, from the food and nutrition experts at EatingWell. 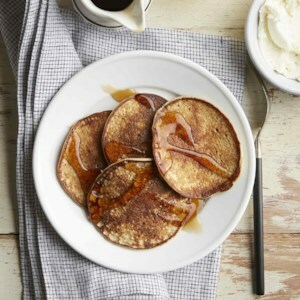 Sheet-pan pancakes feed a crowd, without your standing over a hot skillet or griddle for long periods of time. 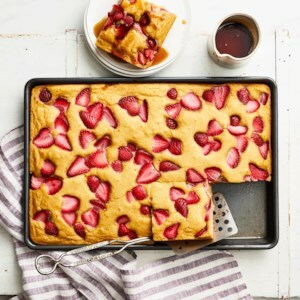 This easy pancake recipe calls for sprinkling strawberries on top of the batter, but you could personalize toppings for guests with a variety of fruits or nuts. 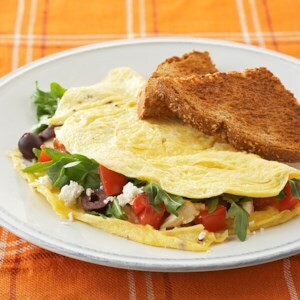 This vegetable omelet recipe is reminiscent of a stylish breakfast you'd find at a chic little corner café. 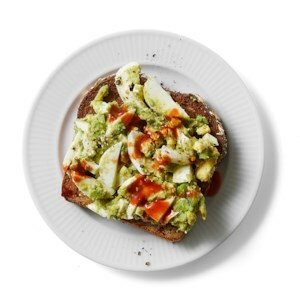 This open-faced egg sandwich has a bit of southwestern flair with avocado and fresh salsa. 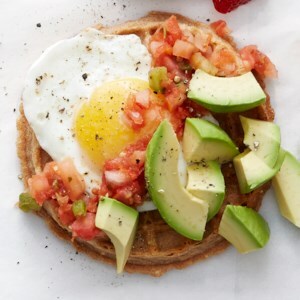 And while you'd normally expect it served on toast or an English muffin, we've switched things up by serving it on a whole-grain waffle. 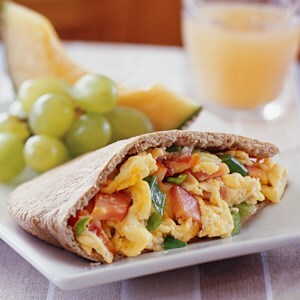 Scrambled eggs and Canadian bacon are normally eaten with a fork, but in this 15-minute recipe we serve them up sandwich style by loading the eggs, bacon, and Cheddar into a pita pocket--it's a delicious fork-free meal! 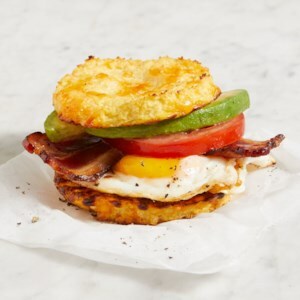 You can feel good about eating this make-at-home version of eggs Benedict. 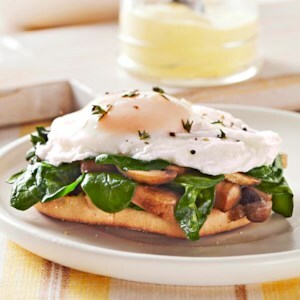 We've replaced the ham with wilted spinach and golden brown sautéed mushrooms, and lightened up the sauce by using light sour cream and fat-free milk. 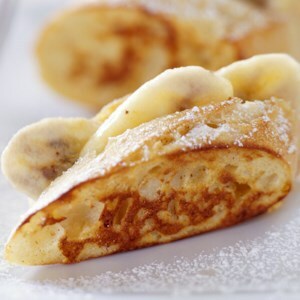 These delicious and unbelievably simple pancakes are best enjoyed right after cooking. 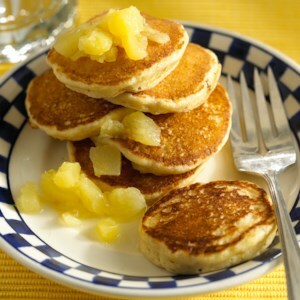 With just eggs and a banana, you can have healthy grain-free pancakes with no added sugar. 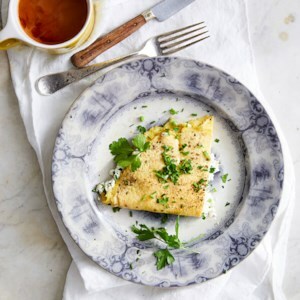 Serve with maple syrup and yogurt or ricotta cheese to add in some protein. 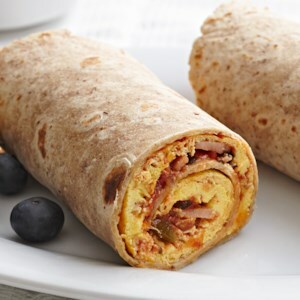 Instead of wrapping up eggs in a tortilla for a classic breakfast burrito, we're wrapping up veggies and bacon in a tortilla made out of eggs. 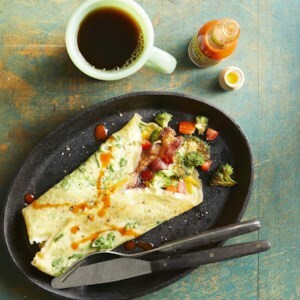 Just whip up an easy omelet and nestle your cooked veggies inside to slash the carbs in this healthy, gluten-free burrito. 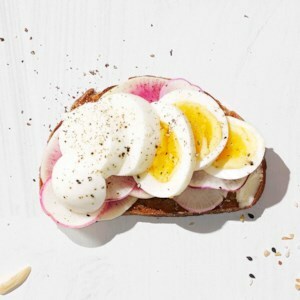 Love avocado toast? 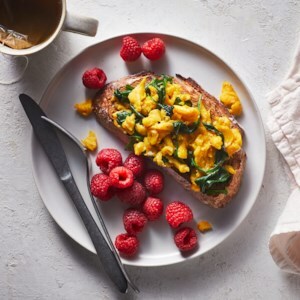 Make it even better with this easy and attractive brunch recipe. 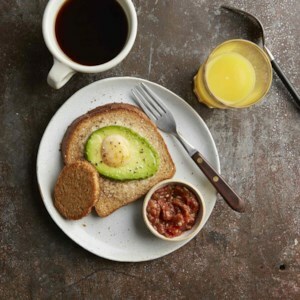 We use the same concept as a traditional egg-in-a-hole toast, but add avocado for an even more satisfying and deliciously creamy breakfast toast. 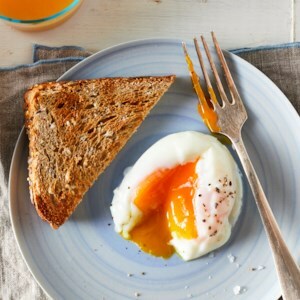 Don't toss the bread from the hole, it's perfect for dipping into the runny yolk.